Welcome to Apex Flags! Apex Flags Incorporated is a Veteran Owned Small Business. 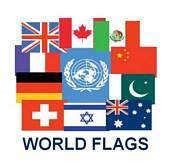 We are a national and international supplier of Flags and Flagpoles. 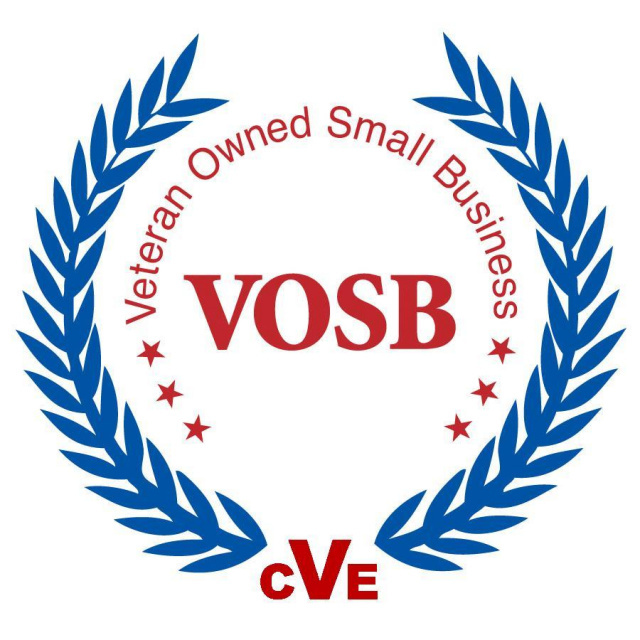 We specialize in Military and Government Spec. Flags, Large U.S. Flags, Flagpoles and custom printed flags with the artwork of your choosing. Think of ApexFlags.com as your Flag Advisor. We'll advise you well, so you'll get exactly what you want. Our products are manufactured by the best flag makers with over 100 years of experience, they are tough durable, vibrant and they last a very long time. Apex Flags is headquartered in Boise, Idaho and supplies Flags and Flagpoles around the world to the U.S. military and government, businesses, states and municipalities, schools, residential customers, veterans, fire departments, police and to all those who want the highest quality Flags and Flagpoles made in the world. The world of Flags is vast. We've done the homework on which Flags are of the very best quality and durability, so turn to the experts here at Apex Flags. ApexFlags.com supplies only the highest quality outdoor and indoor Flags. Top Flagpoles, equipment, and accessories in the world. Flags made to fly in all conditions 24/7. Flagpoles made to last a lifetime. 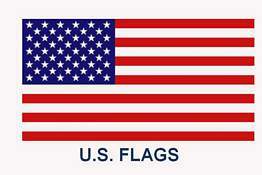 All Flags are 100% made in the USA, in state of the art facilities, by the top American Flagmakers. 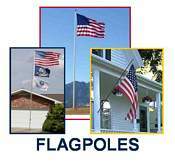 ApexFlags.com specializes in U.S. Flags and U.S. Flagpoles. Our United States Flags includes Military Specified U.S. Flags which are the top Flags in the world, and the exact U.S. Flags ordered and flown by the U.S. Military around the globe. 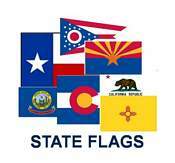 ApexFlags.com StateFlags are incredible with brilliant colors and exacting State specifications. Made to fly in all conditions 24/7. Quality State Flags are hard to find, yet with ApexFlags.com you know you have the highest quality American made Flags and Flagpoles available. 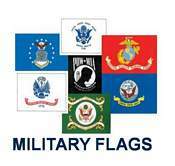 ApexFlags.com line of Military Flags includes; POW, USMC, Army, Air Force, Navy, Coast Guard Flags, Navy Jack and many more. We carry a full line of MIL-SPEC, government, and commercial grade Flagpoles from 20' to 150'. Make sure to check out the ApexFlags.com line of Tornado Flagpoles, some with 200+ mph flagged windspeeds. At ApexFlags.com we supply only quality Flagpoles which come standard with gold leaf copper balls, wire-core rope halyards, and hardened brass hardware. Our goal: supply you with the top performing Flag and Flagpole equipment so you'll proudly be prepared for anything, and looking good too. Are you looking for the highest quality Flags and Flagpole equipment? Then you are in the right place. We have exactly that. Here at ApexFlags.com, we have gained knowledge through council with the great American Flagmakers, and also from personally handling countless different types of Flags, Flagpoles and situations involving Flags. I have come to one conclusion, no two U.S. Flags and/or Flagpoles are exactly alike. Flag Code Title 4 says the "flag is a living thing." I agree. Each U.S. Flag has its own personality, constructions, and tendencies. Individuality that varies from individual Flag to individual Flag, of the same kind, and even made by the same Flagmaker. Think of it for a moment. When a U.S. Flag is constructed, it is basically handmade by Americans with high powered sewing and cutting tools. Because they are handmade, each Flag is going to be made some what different. Even by the same person on the same day. Close, but not exactly alike. This is why we like and recommend the MIL-SPEC U.S. Flags. They are made to within a very small 2% variance. And checked through government quality control. This means that when you go to replace your old MIL-SPEC U.S. Flag with a brand new one, the grommets will definitely fit your hardware settings. The quality of each individual Flag often depends on the American making that U.S. Flag. This is why "Made in the USA" is so different then made somewhere else. Made in America means U.S. Flags made by Americans. 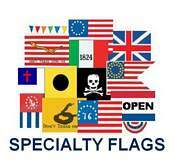 In the case of these products at ApexFlags.com, that means made by Americans with centuries of Flagmaking experience. If you have any questions, please contact me personally at Troy@ApexFlags.com. Or if you have a specific question for one of our Divisions, please contact them per the below. Thank you.